Specifications In Compliance To Our Prestigious Customers' Application Requirements. VIRDI's MIG welders are used universally in light and heavy fabrication workshops, shipbuilding & auto industries, in manufacture of stainless steel, mild steel, copper vessels & container in chemical and allied industries. 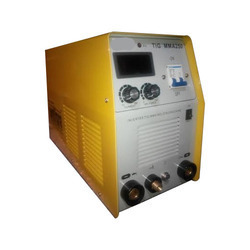 These VIRDI CO2/ MIG equipment are designed and engineered for CO2 welding of mild steel, low alloy steels and MIG welding of high alloy steels and light metals. 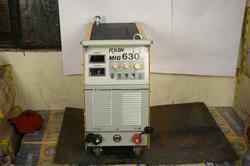 » Constant voltage rectifier type power source suitable for dip and spray transfer welding. We offer high quality of Argon Welding.